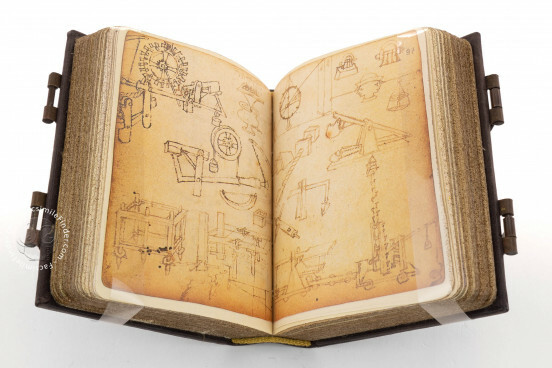 The Sketchbook of Francesco di Giorgio Martini is one of the most superb examples of visionary designs not only from an artistic but also from an architectural standpoint. 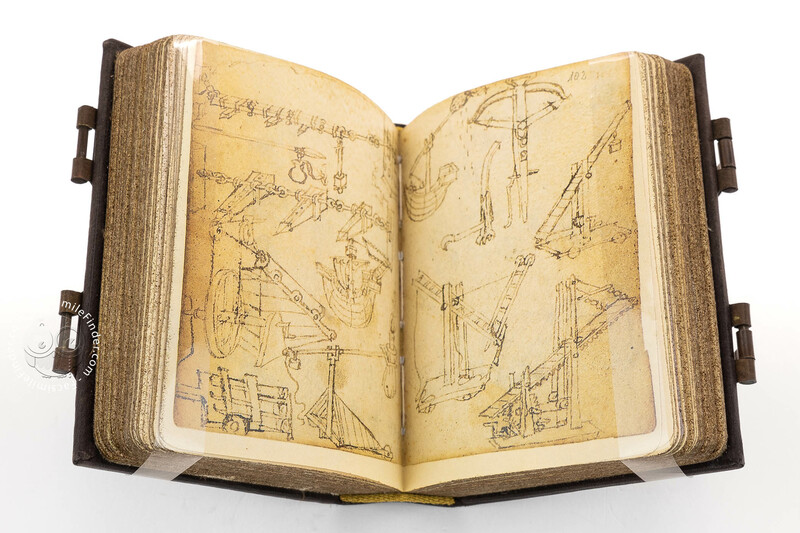 Produced in the last quarter of the 15th century, it contains over 1,200 drawings and sketches, making it one of the most significant collections of projects of Renaissance architecture in the world. 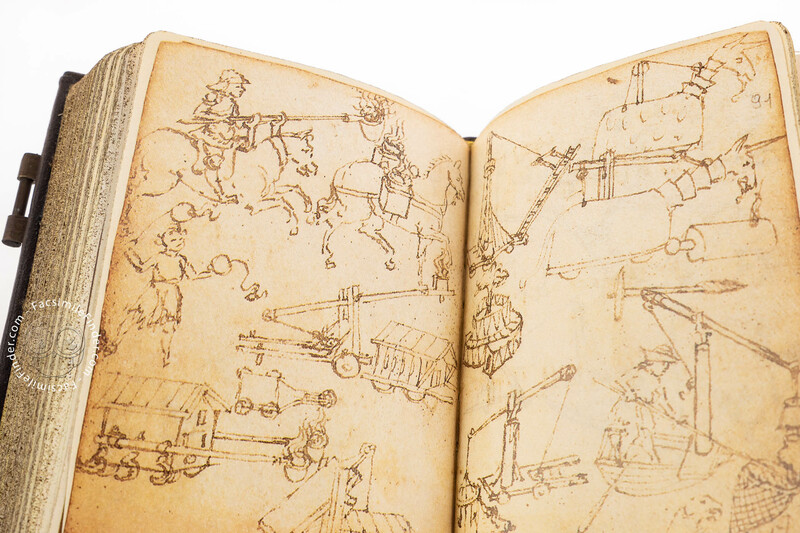 Between the 15th and the 16th century, Europe was living a time of warfare, with conflicts that affected the great powers of the time. 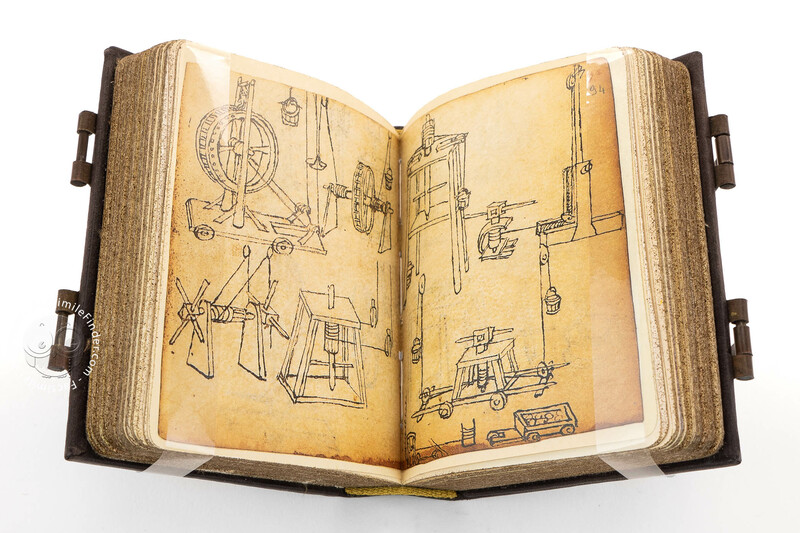 In this scenery, Francesco di Giorgio Martini devised gears, weapons and structures of all kinds, betraying great intelligence which permeates the whole of the sketchbook. 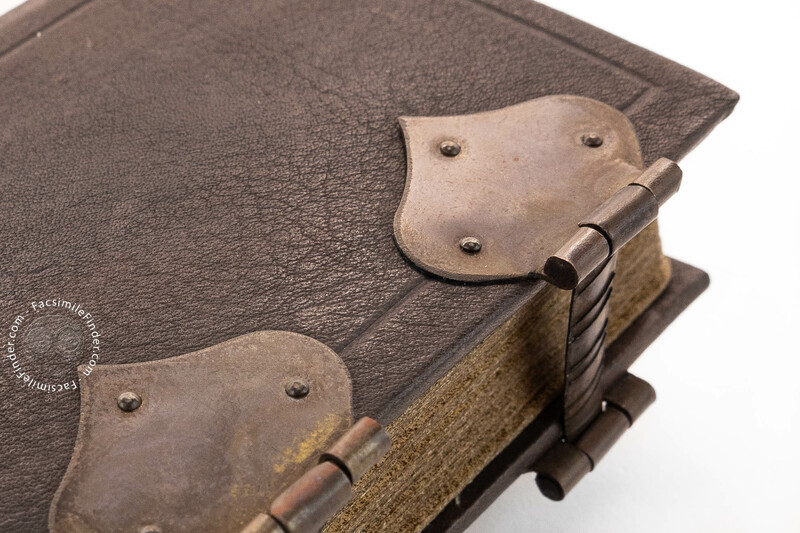 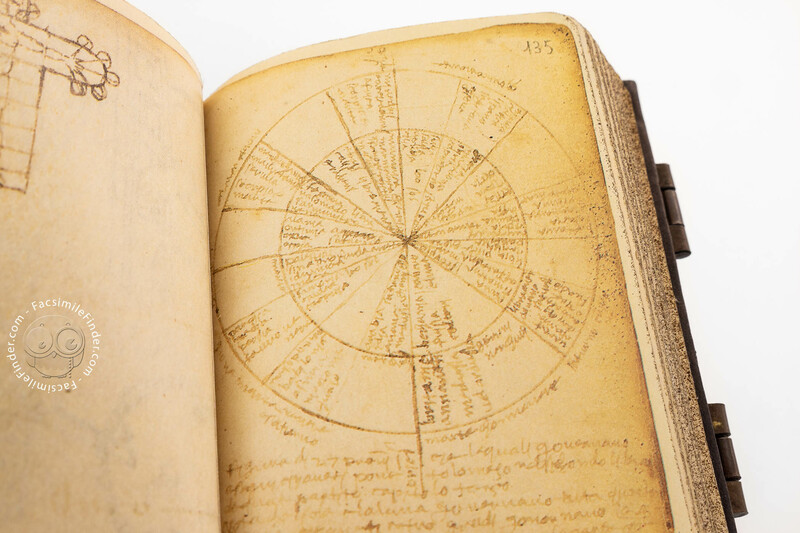 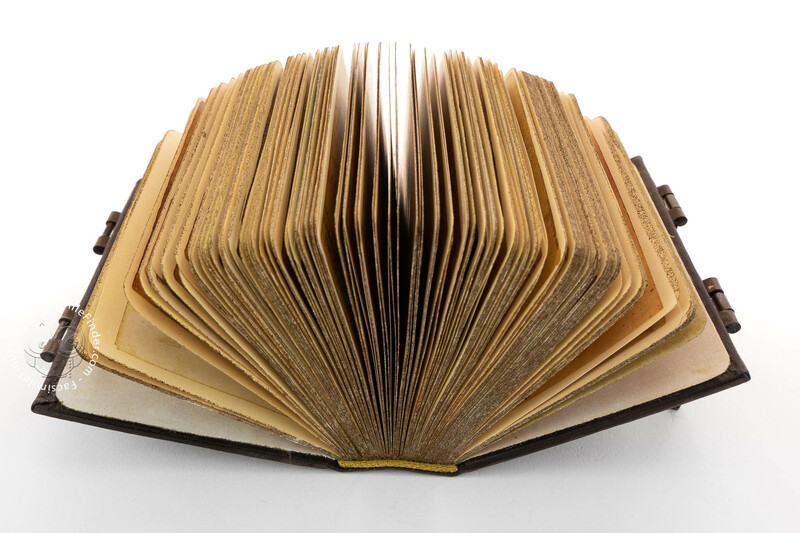 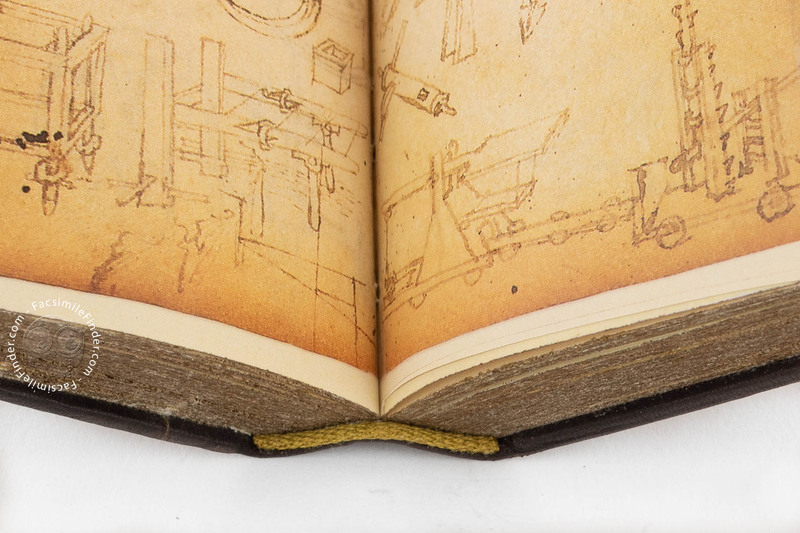 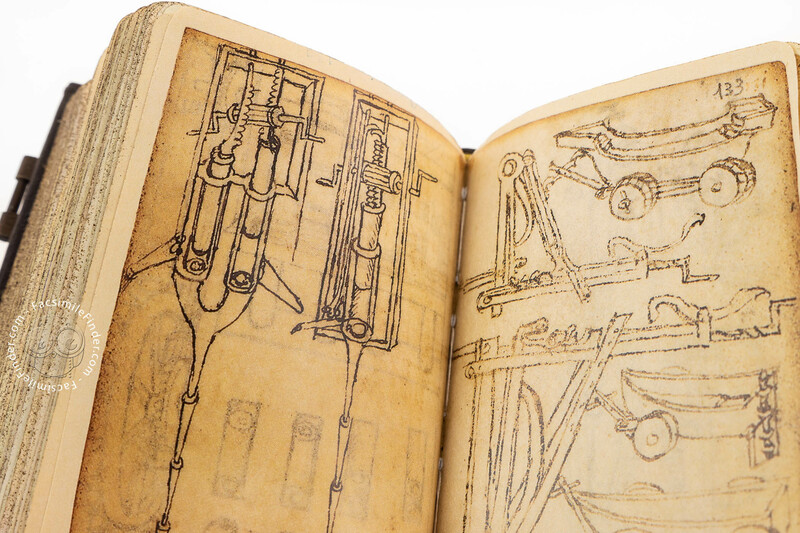 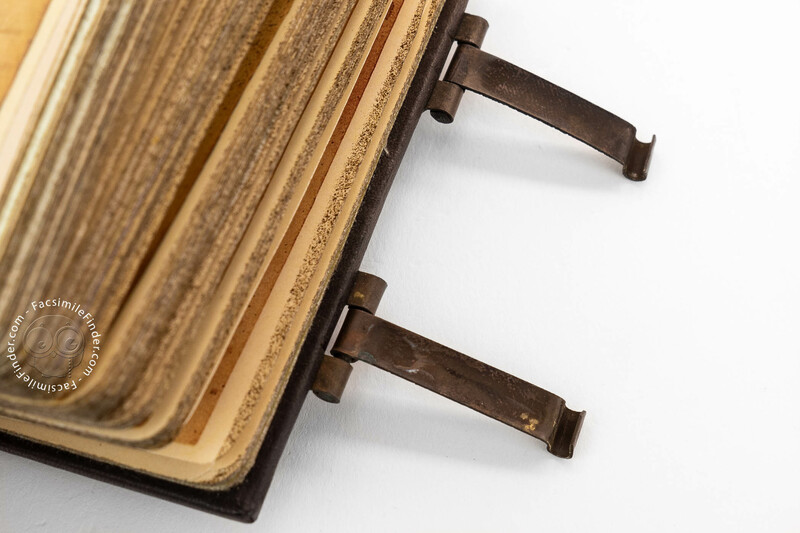 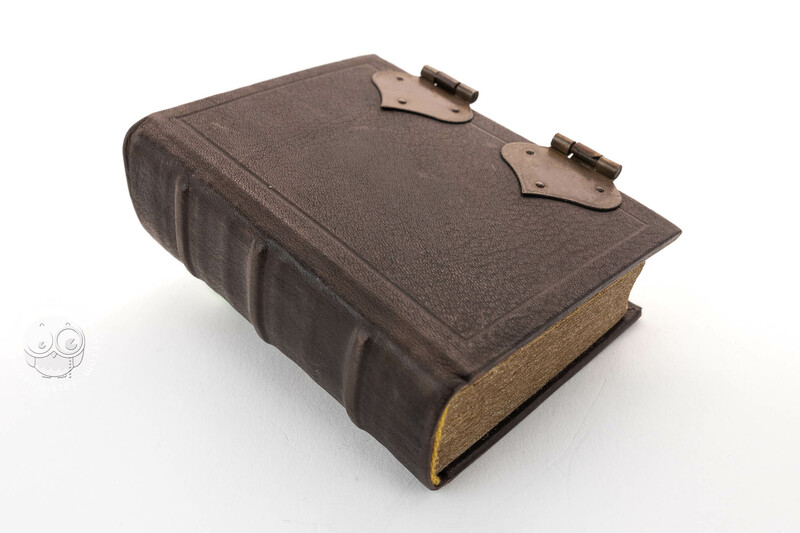 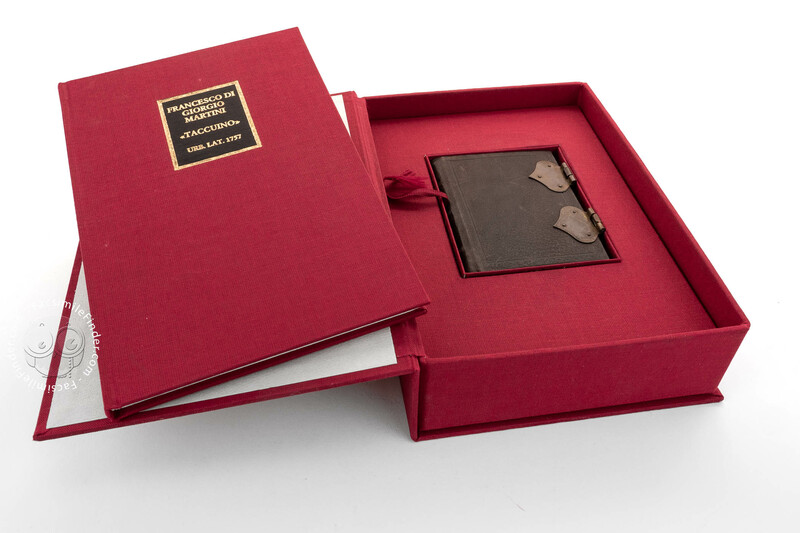 Functioning as a scientific zibaldone, this sketchbook contains the inventive and creative ideas of one of the most significant figures of engineering and architectonic design of Renaissance. 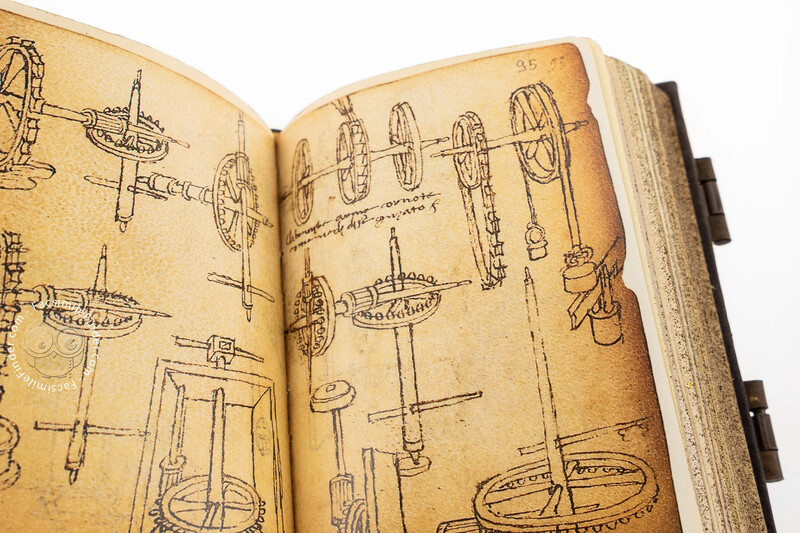 Having received a humanistic education, Francesco di Giorgio Martini was also to be considered a humanistic scholar, able to read and study Vitruvius. 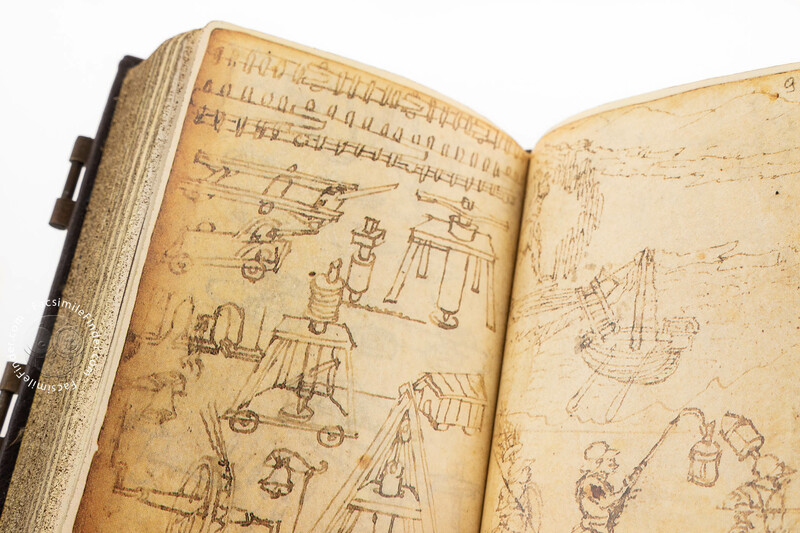 The author of Trattato di architettura, ingegneria e arte militare – one of the most famous architectural treatise on Renaissance engineering – possibly produced this sketchbook during his stay in Urbino, where employed by Federico da Montefeltro, duke of Urbino, he became the court architect and engineer, building great fortifications, which still stand today. 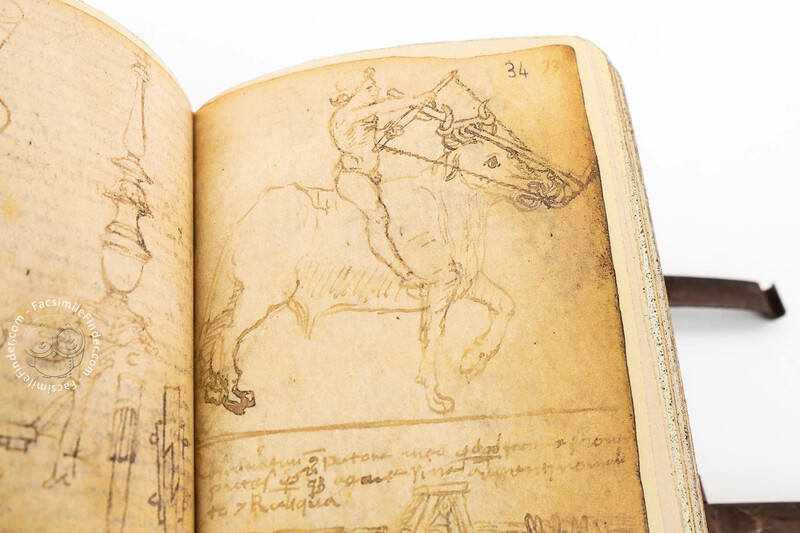 Manuscript book on parchment − 8 × 5.9 cm − 400 pp. 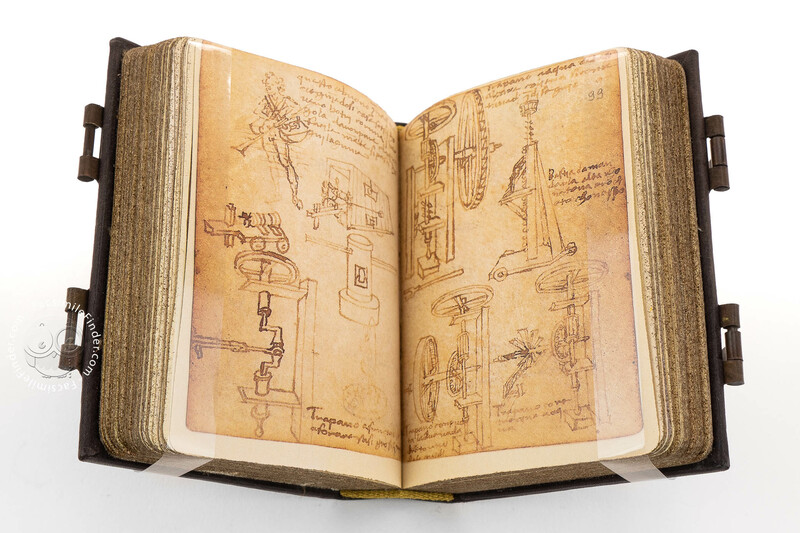 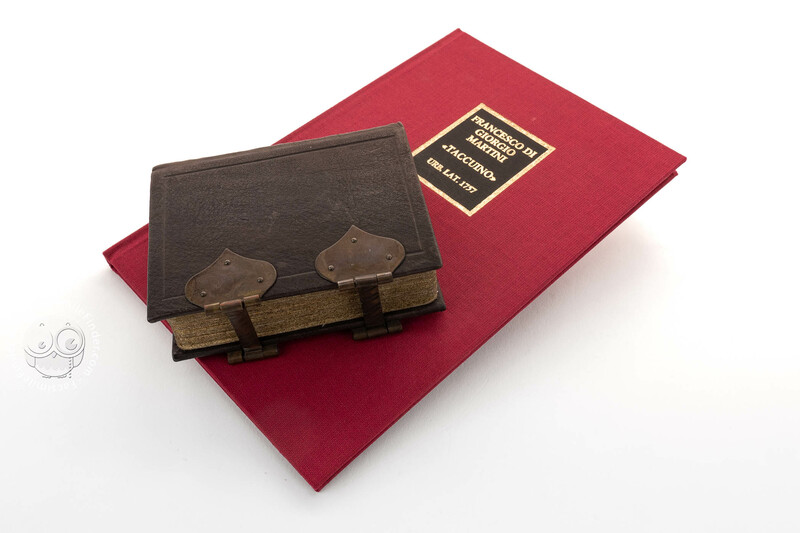 Full-size color reproduction of the entire original document, Sketchbook of Francesco di Giorgio Martini: the facsimile attempts to replicate the look-and-feel and physical features of the original document; pages are trimmed according to the original format; the binding might not be consistent with the current document binding. 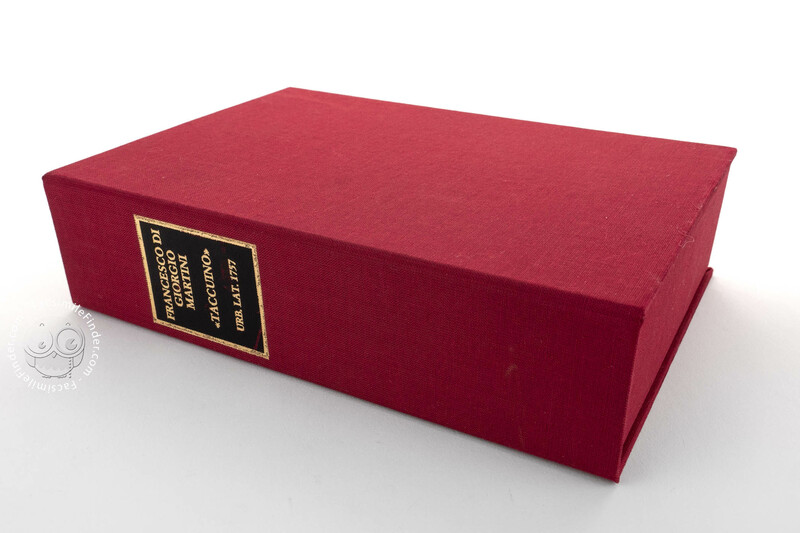 Co-edition Zürich: Belser Verlag, 1989 and Milan: Jaca Book Spa, 1991 (Francesco di Giorgio Martini «Taccuino»).